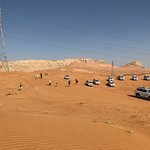 Standard Desert Safari with the complete experience of Dune drive,Falcon show,Camel riding, Sand boarding,Henna tattoo, BBQ dinner, Belly dancing,Tanoura dance & Fire dance. Desert Safari with Private Table, A bottle of Sparkling Wine & Fresh Fruit Platter.. Also incl Dune drive,Falcon show,Camel riding, Sand boarding,Henna tattoo, BBQ dinner (recommended for couples). 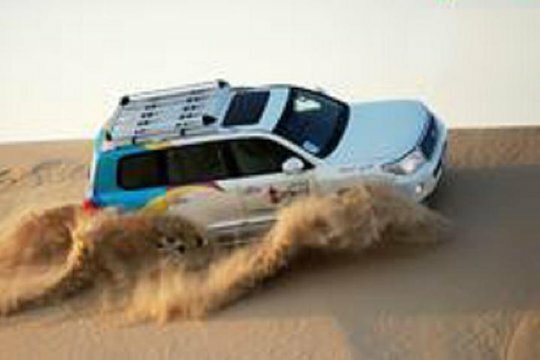 Have a Dubai desert adventure without worrying about renting a car or planning multiple activities. 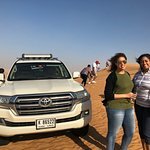 Join your guide in a 4x4 vehicle to head out into the desert, where you'll go dune bashing, ride a camel, try sandboarding, and have dinner at a desert campsite. 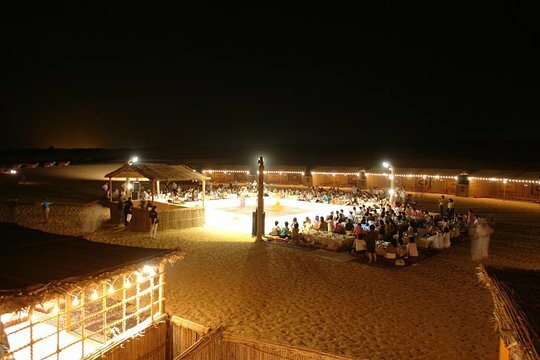 Sit around the campfire and experience traditional desert pastimes such as henna tattoos and tanoura folk dancing. Begin your desert adventure with convenient pickup at your Dubai hotel. Focus on the scenery as your guide drives the rugged 4x4 out to the desert. First, you’ll visit a camel farm to learn about the animal’s historic use in the region, and you’ll also get to ride one. Next, head to a desert campsite for a sandboarding adventure. With your guide’s instruction, learn how to maneuver down the dunes. You can even race your friends. Arrive at a desert camp as the sun sinks toward the horizon. 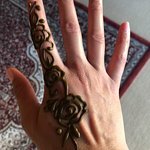 Get some henna painting done and watch a folk-dance show. Dinner includes shawarma or barbecue, accompanied by traditional Arabian dishes. Before you head back to your drop-off point, sample shisha (using a traditional water pipe) while watching a belly-dance performance. Please note, an upgrade gets you an exclusive dinner table, a fruit basket, and a bottle of sparkling wine. 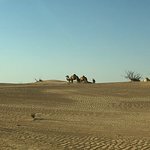 Get quick answers from Dubai Desert 4x4 Dune Bashing, Sandboarding, Camel Riding, Dinner staff and past visitors.